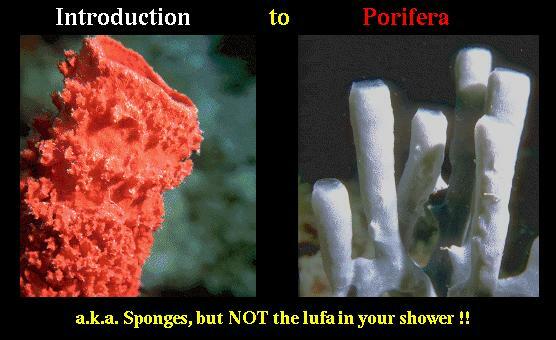 Poriferans are commonly referred to as sponges. An early branching event in the history of animals separated the sponges from other metazoans. As one would expect based on their phylogenetic position, fossil sponges are among the oldest known animal fossils, dating from the Late Precambrian. Since then, sponges have been conspicuous members of many fossil communities; the number of described fossil genera exceeds 900. The approximately 5,000 living sponge species are classified in the phylum Porifera, which is composed of three distinct groups, the Hexactinellida (glass sponges), the Demospongia, and the Calcarea (calcareous sponges). Sponges are characterized by the possession of a feeding system unique among animals. Poriferans don't have mouths; instead, they have tiny pores in their outer walls through which water is drawn. Cells in the sponge walls filter goodies from the water as the water is pumped through the body and out other larger openings. The flow of water through the sponge is unidirectional, driven by the beating of flagella which line the surface of chambers connected by a series of canals. Sponge cells perform a variety of bodily functions and appear to be more independent of each other than are the cells of other animals. There is an exception to the general description of sponge feeding that you just read above. Read more in the Life History & Ecology section to learn about the weird and interesting carnivorous sponges. Click on the buttons below to learn more about Porifera. The sponges in the image above are Clathria basilana (Levi, 1959) and Haliclona fascigera (Hentschel, 1912). Identification provided over the net by spongiologist Rob van Soest of the Institute for Systematics and Population Biology (Zoologisch Museum), University of Amsterdam. Thanks! Bergquist, P. R. 1978. Sponges. Hutchinson and Company, London. 268 pp. Broadhead, T. W. 1983. Sponges and Spongiomorphs, Notes for a Short Course. University of Tennessee, Knoxville, Tennessee. 220 pp. De Vos, L., K. Rutzler, N. Boury-Esnault, C. Donadey and J. Vacelet. 1991. Atlas of Sponge Morphology. Smithsonian Institution Press, Washington, DC. Rigby, J. K. 1987. 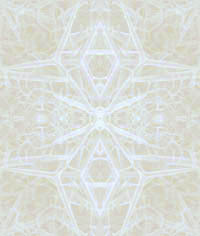 Phylum Porifera. In Boardman, R. S., A. H. Cheetham, and A. J. Rowell (eds. ), Fossil Invertebrates. pp. 116-139. Blackwell Scientific Publications, Palo Alto, California. Ruppert, E. E. and R. D. Barnes. 1995. Sponges and Placozoans. In Invertebrate Zoology: Sixth Edition. pp. 73-94. Saunders College Publishing, New York.